A floating daily diet intended to help bring out the natural color and beauty of koi. This probiotic enhancing diet should be your first choice if you typically encounter washed out color and luster. Saki-Hikari® diets were the 1st koi diet in the world to contain probiotics, long before competitive brands knew they could provide a meaningful benefit! 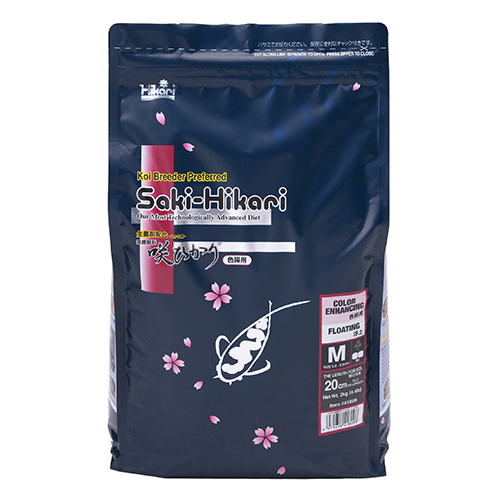 Saki-Hikari® is most effective when used without interruption as an exclusive daily diet. The benefits of the Hikari Germ™ do not continue once feeding is discontinued. Intermittent feeding or use with other foods mixed in will not provide optimal benefits. For best results use Saki-Hikari® Color Enhancing when your water temperatures are consistently above 18°C (64°F). Remember the more active your koi are the more nutrition they require and lower or extremely high water temperatures always dictate less feeding. Nobody knows your koi better than you do, use the following as a guide. Always avoid over-feeding and never leave uneaten food in your pond after the feeding period. 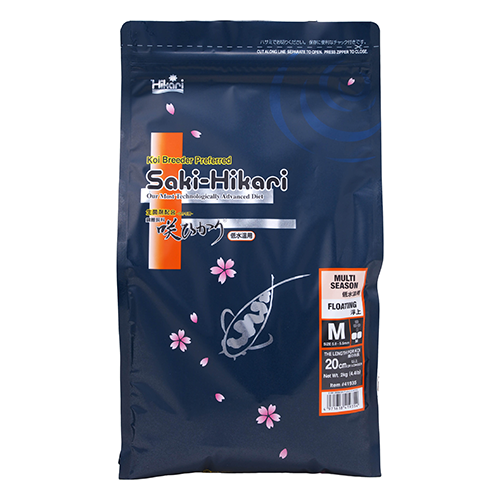 Above 18°C (64°F) - Feed Saki-Hikari® Color Enhancing 2 to 4 times daily based on koi activity. Below 18°C (64°F) - Carefully regulate the amount fed based on activity level of your koi and your pond conditions. 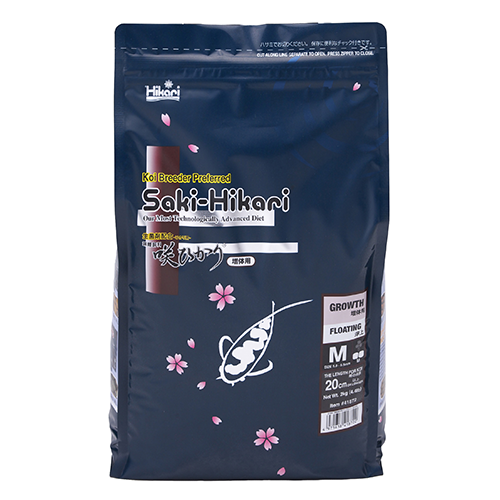 For colder weather feeding try Saki-Hikari® Multi Season, with digestive characteristics which make it a superior choice for water temperatures that are inconsistent or too cold to feed any other Saki-Hikari® diet. Please note: The benefits of Saki-Hikari® are only valid with continued, uninterrupted feeding. Note: Saki-Hikari® Color Enhancing contains higher levels of natural ingredients which may cause a slight change in color from one production lot to another. 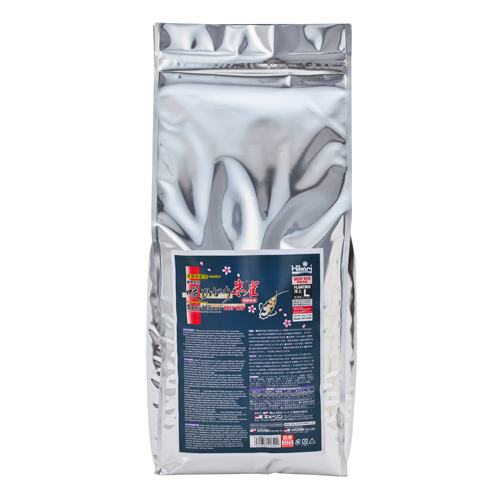 Rest assured because of our rigid quality standards, each package meets our superior nutritional specifications. 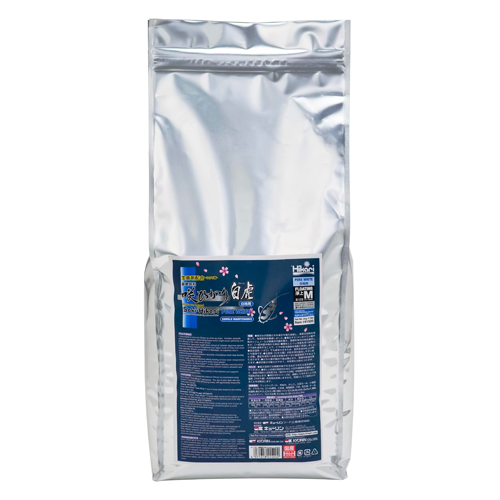 Saki-Hikari™ offers your pet improved nutrient utilization through more efficient assimilation. This can translate into better water quality with continued use.